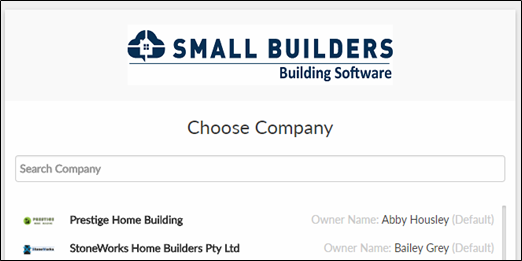 Having multiple portal means having access to different Small Builders account that you’ve been given access to. Upon logging in, you’ll get to choose on what company you will access. 1. On your dashboard, click your profile icon. 2. You can either (1) click directly on the portal that you want to access, or (2) through My Portal button where it directs you to the options when you’ve logged in to your account.